This is a light dessert to finish off a heavy meal. I like cottage cheese better than ricotta, so that is what I use. 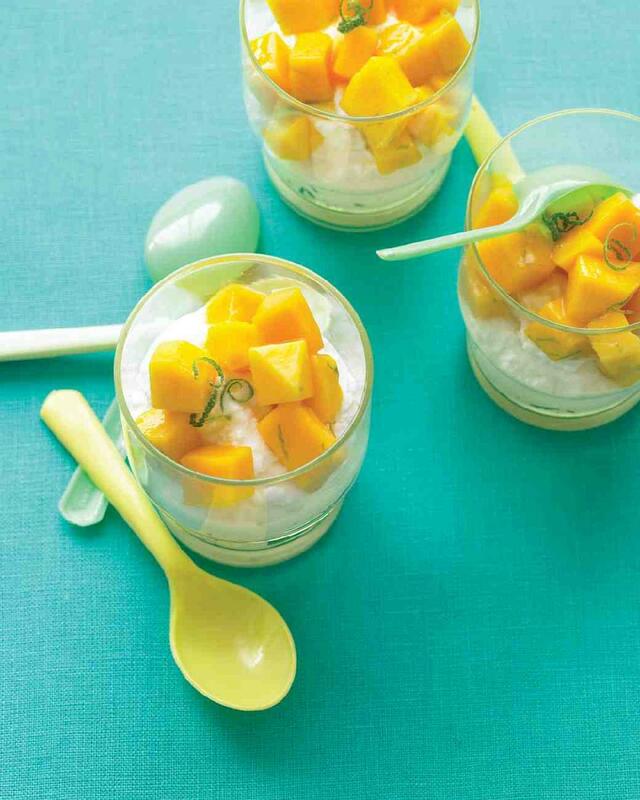 In a bowl, toss together mangoes and lime zest and juice. Taste to see if it is sweet enough for you. If not, add up to 1 tablespoon of sugar. Let stand 20 minutes. Top ricotta or cottage cheese with mango mixture, and serve.